How stunning is this glowing mom?! We were lucky to have the beach all to ourselves on this gorgeous but hot summer day and the gallery is beautiful. We had so much fun with soon to be big sister, she was a little model. 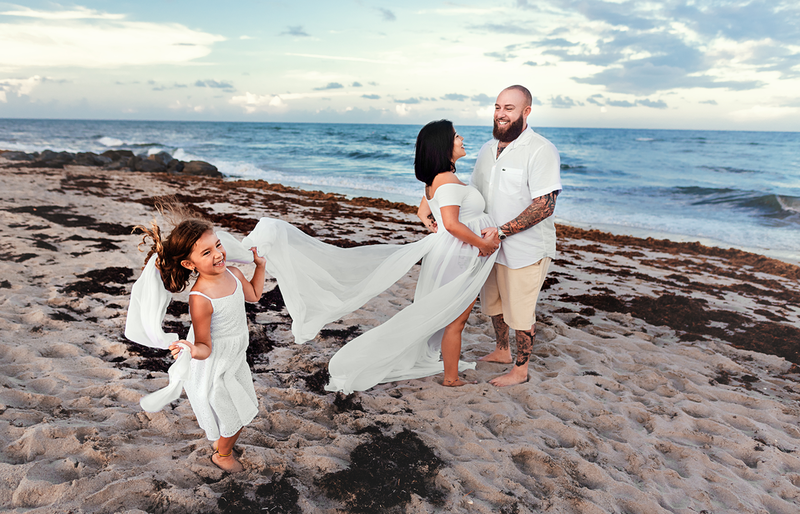 It's not easy to pose during the crazy summer heat in Florida specially while you're expecting but what helps is shooting near the water, it was breezy with waves and perfect wind for our gowns. I'm sure this family will cherish the memories we captured here.